In this day and age, it’s easy for anyone to call themselves a photographer. After all, the accessibility of great quality cameras that ship with our smartphones has made the barrier to entry to the “photography” world almost non-existent. The question here is: Can this be a potential side-business opportunity (or even a full-time one)? Can you sell pictures online and make good money? If yes, do you have to be super skilled? How do you get started? How much can you realistically make? We’ll break down all of this and more in this blog post, but to give you a quick answer: yes, people sell photos online and make money. And that's just one of many ways to make money online. Their skills vary, their income also varies. Some make a few hundred dollars a month, others have earned 6 figure incomes from it and others made a few bucks or didn’t make anything at all. Bottom line, it works, and this blog post lays out exactly how you can get started with this today. So how does all of this work? Why would someone want to pay you for your photos? 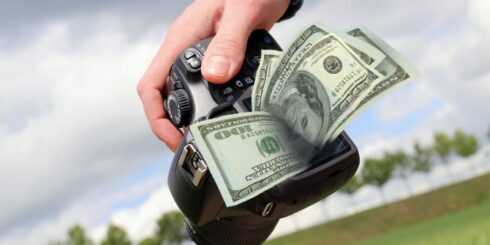 The most popular way people get paid selling photos online is through stock photography websites. Here’s how they work: Say you’re a travel and tourism company. You organize trips to Egypt and you’re constantly in need of photos and videos to market the destination. Let’s also assume that for whatever reason, you don’t have your own footage/photos yet. So what do you do? Well, you could always just go to Google Images, type in “Egypt” and grab a few good looking photos. This, however, is a very risky practice as you may never be sure what the usage licenses/rights are for the images you find on Google. You could also get yourself in hot water quickly and have the original image owner sue you for copyright infringement if you use their content without permission. Sure, you can ask for permission but that’s another big headache. They might not want to sell rights to their images. They might be crazy expensive. You might not even be able to reach them…etc. 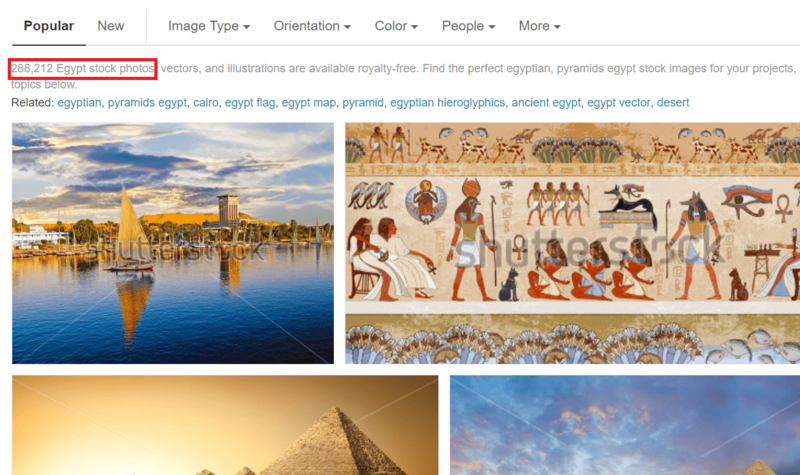 As you can see from the screenshot, the website has almost 300,000 photos tagged “Egypt”. The simple difference between this and Google search is that these images are all up for sale, submitted mostly by independent photographers. This is just one example in the travel industry. Imagine how many businesses look for professional photos every single day for use in commercials, presentations and more. To give you just a rough idea of how big the market is, Shutterstock sells an average of 4.7 images per SECOND, to over 1.4 million customers spread across 150 countries. With a simple calculation that’s over 12 million photos every single month. That’s quite a lot of photos I tell ya. I’m sure that’s one big question lurking in your head. I obviously cannot tell you how much you should expect to make but I can show you what’s possible and give you some advice as to what to do so that you can be on the right path to maximizing your gains. Some people do make 6 figure incomes selling stock photos, but the majority (obviously) do not. 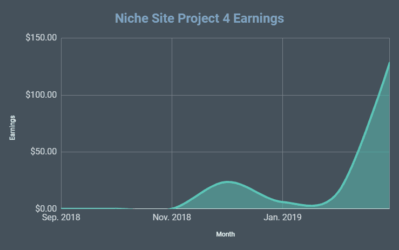 It’s not uncommon to hear about people generating $100-$500/month passively from stock photography though, and that is what you should aim for (for starters). We’ll expand on this later but one thing you should keep in mind is that stock photography is largely a numbers game. The more images you have uploaded, the more chances one or more gets enough exposure and hence the more chances you’d sell. Understanding the industries/niches that do well and WHY is also key. You need to put yourself in the buying party’s shoes. Why would they buy your image? What would they use it for? Generally speaking, generic images that can be used in a variety of situations and contexts perform better than very specific images that limit use to specific scenarios. Do you have to be a photographer/designer? If you’re going to be selling your own digital photos then technically, yes, you need to have the skill. However, it’s not as tough as you might think it is. The industry isn't monopolized by just professional photographers. Besides, there are some excellent tutorials/courses out there that can really help you out, whether you’re looking to become a professional photographer or even if you’re just looking to up your smartphone photography skills. That being said though, in theory, if you want to get into this business but don’t want to learn the skill, there may be a workaround. One way around it is to actually hire photographers for your stock photo needs, and then resell those photos as your own (while, of course, making sure you have full rights to). The problem with this approach is that you may need a bit of a budget to hire photographers at first. Also, you have no guarantees that these photos will actually sell, so you may never recoup your investment. Another approach is to actually buy rights for existing photos from individual photographers, agencies…etc and then resell on stock photography websites or anywhere else. Also, make sure your license covers resale and not just use. A third approach is to actually agree with one or more photographers to have you handle their “marketing”. They take the photos, you sell them for them online. You can then give them a percentage or a flat fee for their effort. Of course, you’d have to be able to work with many different channels and actually offer value to these photographers otherwise they can just go list their work on the stock websites themselves and cut out the middleman. The final suggested approach is print-on-demand. We actually cover this later on but print-on-demand is basically printing designs/photos..etc on physical merchandise like t-shirts, mugs, pillows…etc. You’d simply buy a ready-made design/photo or hire someone to create one for you, then you have them create say, a t-shirt mockup and you list it for sale online. More on how this works later, but you get the idea. I think. You do get it right? Well then let’s get into the nitty-gritty of getting this whole thing going. 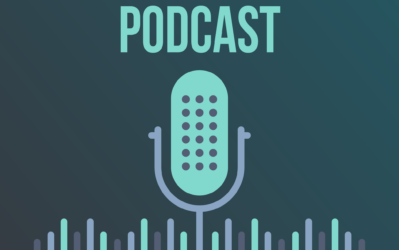 So now that we’ve answered the most common questions, let’s actually get the ball rolling on this and arm ourselves with what we need to get that first sale. We’ll go through an overview of what the most popular markets/industries for stock photography are so that you’d get some inspiration. We’ll then explore prerequisites you’ll need before you start your journey, as well as some general best practices you should follow when taking the photos. Finally, we’ll cover tips on how and where to sell your photos and maximize potential return. At that point, if you decide that stock photography is not for you, we’ll lay out some alternative ways you can sell pictures online. As I’ve mentioned earlier, you’ll find that most stock photos are broad/generic in nature and usually fall into broad categories as well. This helps make the images multipurpose and hence increases the chances of finding a buyer with a suitable use for it. As for categories, these types of photos usually have a high selling potential: nature, animals, things (tools, electronics, bags, cables…etc), cities, work situations (programmer, construction worker, carpenter..etc), travel and people. All kinds of businesses may find these images helpful, but they’re especially useful to bloggers and website owners. Every blog post or social media post needs an attractive image that grabs attention and reels in the reader. With many businesses posting several times weekly or even daily, the overhead of hiring a designer just for the purpose may not be worthwhile. This is when stock photography chimes in for the rescue. Understanding the general buyer mindset and keeping it at the back of your head will help you create content that resonates and sells. Remember, our purpose is not to solely take those incredible photos that show off your amazing talent. Our purpose is to sell. A lot of photographers can get tunnel visioned and are unable to differentiate between the “sometimes” conflicting goals. This is why it’s very useful to have the right mindset. Alexandre Rotenberg, a seasoned stock photographer, wrote a blog post about his best selling stock photos and WHY he thinks they did well. The post shares some very valuable insights. You should give it a read. A camera or smartphone with a camera. If you have the budget, get yourself an entry-level DSLR or better. Check out TechRadar’s 2018 roundup. If you’re not a seasoned photographer. You’ll need to sharpen your skills with some tutorials/courses. Use these mobile photography tips or take a professional photography course as mentioned earlier. A tripod, light tent, reflector, softbox and other supporting equipment may be needed depending on your shooting situations and industries/niches. The courses referred to above should be able to provide adequate guidance in that area. Finally, you’ll need some ideas for photos. Hopefully, the “understanding what sells” section above helps you with that. That’s it! That should be enough to get your feet wet. Use RAW and JPEG formats: The RAW file format allows much more flexibility during the editing phase as it’s an uncompressed file type. The disadvantage there is that RAW files are much larger than JPEG. Try to always shoot in RAW and if your camera allows you to shoot in both formats, you can do that and delete the RAW version of the file if the image is already good in JPEG without much editing. “Golden hour” is your best friend: The “golden hour” is a one hour window before sunrise and sunset. The reason it’s deemed “golden” is that the natural lighting conditions in that period help you take some unique, often dramatic shots that instantly make an impression. Adjust your settings carefully before framing: Before you actually frame your shot, make sure to adjust exposure and focus first, then frame your shot. This minimizes the risk of shooting underexposed, overexposed or blurry photos. Pay attention to composition rules: Apply the “rule of thirds” when relevant. Also, pay attention to the depth of field and finally, don’t forget to rotate your camera for vertical shots! It’s easy to forget the camera in landscape mode since that’s the “natural” position to hold it. The tips above should help you get out there and take some great photos. For a more in-depth/hands-on photography tutorials, check out the recommended courses mentioned in the prerequisites section above. While creating your own professional photography website might sound intriguing, this option comes with a bit of an overhead since you need to secure a domain name, web hosting and good website content + design. It’s not as expensive as you might think though as the whole package could run you less than a 100 bucks per year to start including a nice photography website template from ThemeForest. If you’re just starting out though, a website might not be the immediate priority but social media presence is practically a no-brainer. It’s free, super easy to create and impactful. The first recommendation would undoubtedly be Instagram. Simply posting high-quality images consistently combined with the right hashtags could yield you some great exposure, but don’t take my word for it. Daniel Arnold, a street photographer, made $15K in one day selling prints on his Instagram feed. Convinced yet? Well, go out there and create your social media profiles then! Pro Tip: Use a website such as Hashtagify to find the most relevant hashtags that are currently receiving a lot of interest and then use them when posting your photos. It’s like your hashtag cheat sheet! This is perhaps the section you’ve been waiting for all along. Once you’ve bought your equipment, learned photography basics, took some photos and established some basic online presence, now is the time to get your photos out there. Let’s take a look at the different websites you can list your photos for sale at and a brief about each. We’ll start with the most popular ones. Shutterstock: Shutterstock is one of the largest stock photo libraries on the interwebz. It’s almost guaranteed that you’ve seen one or more of their photos on the web as you were browsing some news story or blog post. To date, they’ve paid their contributors in excess of $500 million. They accept images, vectors, and videos. Shutterstock pays 25 cents per stock photo download but that number increases as your lifetime earnings with the website increase. There’s also a different set of licensing options that pay you a lot more for “high-viewership commercial use”. You can see Shutterstock’s full earning schedule here. It might not seem like that much at first, but the numbers add up quickly when you sell multiple licenses per stock photo and multiply that by the number of photos you’ve uploaded. 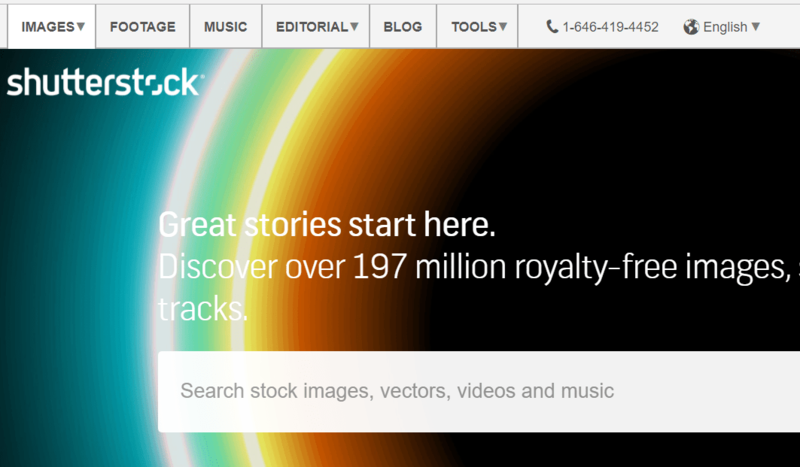 iStock Photo: iStock Photo is another big player in the industry. They're newbie friendly as their forums and resources provide a lot of help for newcomers. Their rates start at 15% but you can earn up to 45% depending on the popularity of your photos. iStock also reward you with more commission if you decide to list your photos exclusively with them. Getty Images: Getty Images is the big dog in the industry and is known to offer premium quality photos at premium prices. Getty Images’ main advantage is their earning potential. You can earn $100+ per stock photo sold. No other website even comes close. The catch is, however, that Getty’s approval process is pretty tough and not newbie friendly by any means. The other big catch is that all their contracts are exclusive. If it’s on Getty, it can’t be anywhere else. This makes you miss out on potential opportunities from other websites. Fotolia: Fotolia is owned by the creative software giant Adobe. They sell stock photos to over 4 million buyers worldwide and offer royalties ranging between 20 to 46% for Fotolia credit sales. For subscription options, royalties range between $0.99 to $3.3 per image. For a full breakdown of their royalty scheme, review their full compensation schedule. Alamy: If you’re a student then you’re in luck because Alamy offers you 100% commission on any photos you sell. Yes, you read that right, 100%. If you aren’t a student, you still get a very generous 50% commission on sold photos, which beats most other websites that usually offer 30% or less. Of course, the main catch here is that Alamy isn’t as popular as the websites above and hence is frequented by fewer buyers which translates to less potential for your images to be seen and sold. According to Alamy itself, it has 110,000+ buyers. Compared to the millions of buyers on the popular websites, this number is greatly insignificant. However, the incredibly lucrative commissions alone make the website a solid choice, particularly if you don’t have any exclusive contracts with other websites. In that case, you could just add Alamy as another channel among the other channels you’re already uploading photos to. Dreamstime: Dreamstime also adds an interesting competitive twist by which they give you a 20 cents bonus for each approved image you upload, if you choose to agree to an exclusivity contract. Sure, that’s not much at all but considering you earn it before even selling anything, it’s pretty sweet. Their regular compensation varies between 25%-50% for each image sold. This jumps to 60% if you sign the exclusivity contract. PhotoMoolah: PhotoMoolah does not operate using the regular “licensing” business model but actually opts to use a “contest” format. The major advantage here is that you retain copyrights for the images you upload. You also get a nice payday should you win a contest ($100+). The obvious catch here is that you actually have to win the contest to earn anything. Still a great option for those wanting to try something different than the usual licensing model and retain their rights to their images at the very same time. Again, it’s important to have the right mindset when getting into this: you won’t get rich overnight. However, it’s very possible to make a nice supplemental income doing this. 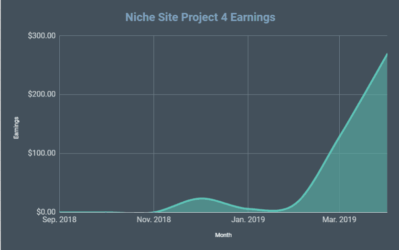 There are a few general guidelines that would help you jump from making a few bucks every month to actually bringing in a few hundred or even thousands in passive income. Upload to different websites (or not? ): This is trickier than it sounds because stock photo libraries try to lure you in with significantly better payouts if you sign exclusivity contracts with them. It might be a tough choice, but here’s how I recommend you approach. Start with uploading to as many websites as you can without signing any exclusivity contracts. Then, over the course of a few months and a few dozen images, see if specific websites stand out in terms of sales and revenue. Maybe you’ve uploaded the images on 10 websites but only one of them is netting you 90% of your sales. You may then consider signing exclusivity contracts with that one website when uploading future photos. Be careful of “anomalies” here though. Don’t assume just because a single stock photo sold well on one website but not the other, then that means you should ditch the other. Run this experiment with dozens of photos to ensure that you make an informed decision. Upload many images: This may seem obvious but I can’t stress its importance enough. A lot of photographers make the mistake of “testing” with a single photo and then abandon the platform when it doesn’t sell. This is a big mistake. Commit to uploading a few dozen photos first (at least) before deciding to quit. This is obviously a VERY rough example, but it gets the idea across. The reality is most of your images may not even sell BUT when you get one “winner”, all the effort will be worth it and it’ll compensate for all the other images that didn’t do well, so keep shooting and uploading! Consistency: Consistency is key here. Try to commit yourself to uploading a specific number of images every month. Set aside time for it and don’t expect any returns. Consider it a charity project. Think of anything that comes out of it as a bonus. Made $10 this month? Cool, free fast food meal. Going in with this mindset will allow you to stick to it for a while, giving you much better chances to get the ball rolling. Promote through social media: Promote your work through Instagram, Facebook…etc. Use relevant hashtags. If you have the budget, run ads. Even a $1/per day Facebook ad is better than nothing. You never know, maybe this little sponsored “push” to a particular image would trigger a viral response and gets you massive exposure. The advantage of social media is that it helps you build a recognizable brand. If you’re able to land an “influencer” status, you can leverage it to get some interesting opportunities. You’ll find people reaching out to you offering freelance opportunities, sponsorship opportunities and more. Be part of the community: A lot of the stock photo websites will have dedicated forums for contributors to share experience, knowledge, and resources. This could be an invaluable resource not just to learn but also to network with people in your same shoes. You can directly connect with people at your level or better, motivating each other and learning from the more experienced contributors. While the focus of this post has been to show you how to sell pictures online with the help of microstock agencies, this is by no means the only way to make money from selling pictures. Below we explore some of the other alternatives, should you feel that the stock photo route is not your cup of tea. There are obvious advantages and disadvantages to start selling photos directly on your website. The biggest advantage is that you get to keep all the revenue (minus some processing and subscription fees). Another is that you’re the only one selling on your website, so no competition. The audience that visits your website is only yours. The major disadvantage, however, is that you handle all the marketing for your photos (or have to hire someone to). So while stock photography websites have a few million buyers already surfing and searching for your images with their wallets out, selling through your own website instantly kills that perk for you. Shopify: Shopify is a general purpose e-commerce platform that allows you to start your own online store as easy as opening a new Facebook account. Simply fill in a few forms and you’re done. That easy. 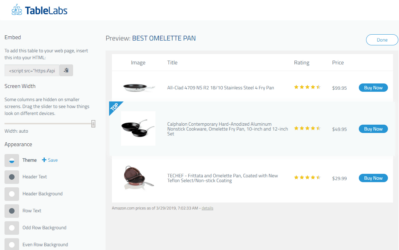 You can also fully customize your store and add products, pages, pricing…etc without touching a line of code. Over 200,000 stores worldwide run Shopify. Its base pricing is $29/month. WooCommerce: WooCommerce is another general purpose e-commerce platform that comes in the form of a WordPress plugin. WooCommerce is completely free. 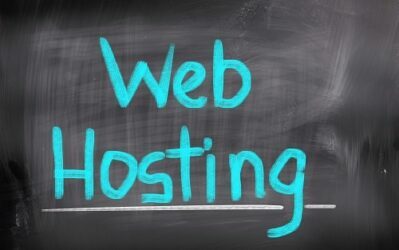 However, you will need your own web hosting and you’ll need to be familiar with WordPress. You’re still almost never going to need to touch any code, but the platform isn’t as “hands-free” as Shopify. If you’re a slightly technical person or have no issues doing a little bit of learning on the technical side, WooCommerce may be a viable option. PhotoShelter: The main difference between PhotoShelter and the above options is that PhotoShelter is actually a specialized platform, made for photographers to sell their photos. Their plans start at just $10 a month. Unlike stock photography websites, they do not eat half of your profits or more because they’re simply a platform that allows you to host and sell your photos to customers directly. SmugMug: Similar to PhotoShelter, SmugMug is a specialized e-commerce platform that allows you to sell your pictures online. Their plans start at $4/mo if you pay yearly and $6/mo if you pay monthly. There are also other alternatives worth exploring such as fotomoto and pixpa. If you’d rather work for a client directly rather than sell your work afterward, then landing some freelance gigs may be the way to go. The best thing about freelance gigs is that you’re guaranteed to get paid once your work is delivered to the client’s satisfaction (provided you that the client isn’t a scammer, of course!). The catch is that you can’t simply pick up your digital camera and go shoot whatever you like, you’re bound by the project requirements. The client usually owns all rights to the content as well, so you can’t resell it again and again. It’s not “hands-free, passive income”, the way stock photography is. That said, if you wish to explore that path, FreshBooks wrote an excellent post breaking down 36 online venues where you can find freelance photography gigs. Print-on-demand is an interesting concept. It’s mainly popular with digital designs but can also be used with photos. How it works is pretty simple: Say you have a photo that would look great on a t-shirt, mug, hoodie, pillow…etc. You don’t have the resources or the infrastructure to actually print that design or photo on something physical, sell it and ship it to customers. So what do you do? You sign up for a print-on-demand platform! All you need to do is have your design/photo ready for upload. The platform helps you automatically generate a mockup of the item after your design or photo is printed on it. They then list it on their website and handle all payment processing. When someone orders the item, the website prints the design on it “on demand” and ships it to the customer. No inventory or stock to keep track of. Printful: Printful concentrates on serving website owners. So if you have a photography website, say, powered by Shopify, Printful would integrate directly with your website so you can offer on-demand printing for customers on clothes, wall art, phone cases, towels, pillow covers and more. The functionality is offered right on your website and then fulfillment and processing are done by Printful. RedBubble: RedBubble is a huge marketplace that features contributions from a wide array of artists. Unlike Printful, you don’t need your own website to sell print-on-demand items on RedBubble. On RedBubble you can print on clothes, notebooks, stickers, home decoration items among other things. The platform has a very easy to use interface and the ability to set your own margins and prices easily. Zazzle: Zazzle’s main selling point is its customization feature. You can add and edit ready-made designs or design your own from scratch, all within their interface. They’re also remarkably popular, receiving over 30 million unique visitors every single month. Other alternatives worth exploring include TeeSpring and SunFrog. This is mostly viable only if you manage to accumulate a good number of social media followers. You can then use sites like ShoutCart to sell Instagram shoutouts. If you go that route make sure you also outline in your bio that people can contact you directly to advertise. As your account grows expect people to reach out and ask you for paid shoutouts, sponsorships or freelance opportunities. This is an option for people who aren’t photographers and don’t want to learn the skill. The approach is simple: Hire freelance photographers to shoot for you and then sell the content on stock photography sites or use any of the alternative approaches mentioned above. This way, you don’t do any of the work but still get to reap the benefits. One thing to note though is that, as mentioned earlier in this post, this approach carries quite a bit of risk, since you have to invest in hiring a freelancer to take the photos for you and then you may not be able to make any money off them. For finding and hiring freelancers, simply refer to the “Going Freelance” section above and use the suggested sites. Whether you’re currently a photographer or not, this post should help you get your feet wet using several different methods that help you make money off your photos. Stock photography isn’t the only way to go, we’ve also discussed several other methods above. If you already have the skillset and perhaps a portfolio, then you’re ready to delve right in. If not, spend some time learning the ropes or hire someone to do the work for you. Once you have your photos ready, go out there and try everything in this post. Make a document or a spreadsheet detailing everything you tried and how much it earned you. Month after month, cut out everything that isn’t making you money, and just do more of what is! If you have any experience selling pictures online, please share it in the comments section below. Also happy to answer any questions you might have! Nice info spencer ! Freelance photographers should surely have a look at this. I 100% agree with Lee. I was wondering this myself. None of these recent articles flow at all with the current content and overall tone of Niche Pursuits.